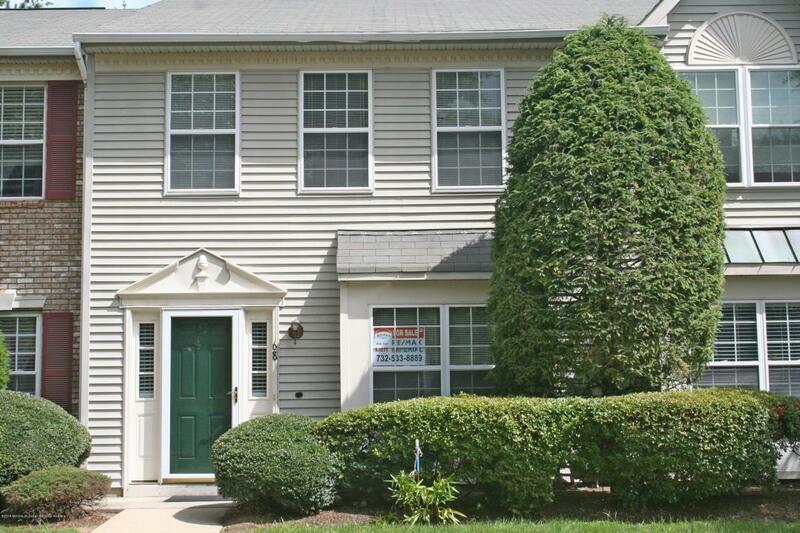 Perfect move in condition and below $300K in Holmdel?! Meticulously mainained with all major upgraded in recent years. Desirable Palmer Square 3 bdrms, 2 1/2 bath. Whole house freshly painted. Beautiful brand new floors throughout. New Pergo floors downstairs, new carpet upstairs. Kitchen is updated with new stainless steel appliances and new ceramic floor. New Furnace and A/C installed 2014. Newer top of the line front door and storm door. Commuter's delight, Convenient location to shopping, train, ferry, bus and beach. Top rated Holmdel school systems. Ample parking space for your guests.